A file named wpad.dat must be located in the WPAD Web server’s root directory. The host at the WPAD address must be able to serve a Web page. A DNS entry is needed for a host named WPAD, in this content on the DNS server of the enterprise network. It is preferably the DNS server client access to resolve any DNS query. This entry should be point to the server that will host the WPAD.DAT file as discussed in the next section. If your domain name is example.com, the client machine should be able to resolve your web servers IP address looking up wpad.example.com. Host your Proxy Auto Configuration file in a web server. This should work on any web environment as long as the right configuration parameters are entered. Make sure you have a working proxy.pac ready with you. 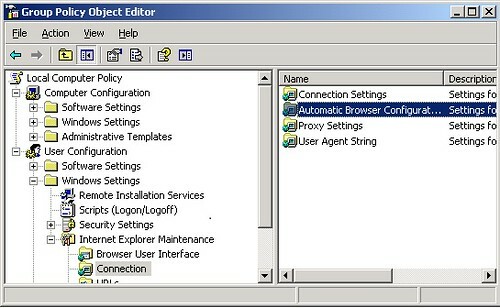 If you are using windows professional Machine in an enterprise network you can use Active Directory and Group Policy Objects (GPO) you can configure Internet Explorer settings automatically via GPO. A tool called FirefoxADM is available for Firefox which allows configuration, however I haven’t tried out this tool and looks last update was over a year old. Please share if you know of any better tool. 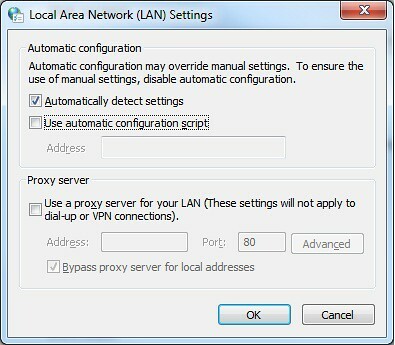 You can configure all web browser on the network to automatically detect proxy setting. This will work with IE and Chrome. Use group policy on the domain controller to endorse windows domain wide configuration use following steps. In my setup I have been using squid as a proxy, so I monitor for “tail -f /var/log/squid/access.log” and check for traffic request from the client. Make sure any transparent proxy configuration is turned off to avoid wrong reading. Please share if you know of any other way to check from the client side. 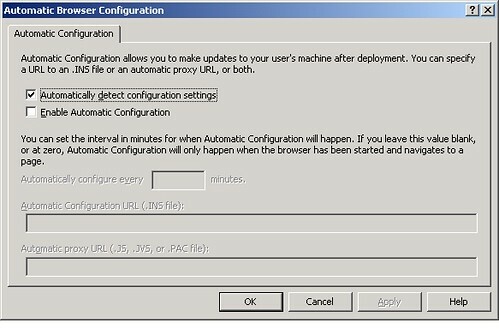 If your traffic is passing through the proxy server, congratulations you have successfully configured automatic proxy configuration server with a PAC file. Note Please: i am using two proxy server in my environment one for students and one for staff and have more than 1500 hundred users, unfortunately for some reasons we have workgroup environment, no domain environment. did you try using the proxy server directly? did you also check the proxy log to see if the traffic is going through the proxy server? Dear Saad, Thanks for your reply first. Yes i am using proxy directly, and traffic is going through proxy for https /SSL requests. that means your proxy is configured properly. Next thing you need to check is if your wpad file is accessible from the clients machine. try the url http://wpad.example.com/wpad.dat and see if it is accessible without using any proxy server, where example.com is your search domain. Hi, I want to do the opposite. I want to totally turn off WPAD. I have a web service that is trying to use WPAD. But since it is not configured to use it, it adds a long delay while it tries it. But we don’t use any proxy. How do you ensure that WPAD is not used? You can disable webproxy on group policy or at the application level. On the other hand do not configure the WPAD server.